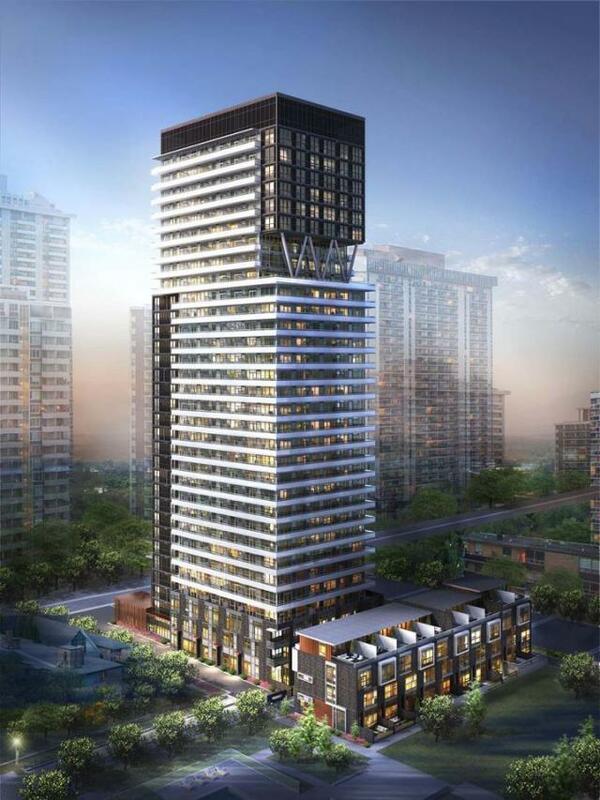 Tridel is planning to start construction this summer on a 32 storey building, with 410 suites (10 will be townhomes). Tentative occupancy is scheduled for summer/fall 2016. There are still studio, 1 bedroom, 1 bedroom plus den, 2 bedroom, 2 bedroom plus den, penthouse and townhome suites available for sale. Strategically tucked away, mere steps from the energy of midtown Yonge and Eglinton. 101 Erskine is a short walk to the subway, shops, cafes and restaurants. Features of 101 Erskine will include: a stunning lobby, rooftop terrace with infinity pool and outdoor fireplace lounge, entertainment spaces with a private courtyard, alfresco dining lounge, sleek fitness amenities, even a linear park walkway creating a link between Broadway and Erskine.